Sunna Design, a leader in solar energy management for autonomous and connected applications, has partnered with Masdar City, in Abu Dhabi, for a 12-month pilot scheme to undergo weather endurance monitoring. This announcement come following their win last year, at the Zayed Sustainability Prize’s 10th annual awards ceremony (formerly Zayed Future Energy Prize). Based in France, Sunna Design in the last week of January, had installed eight solar streetlights near Masdar City’s Eco-Villa development. The monitoring period is intended to further demonstrate confidence in their long-term performance and durability, said the company in a statement. The WiFi connectivity within each streetlight will enable the data and performance of each unit to be monitored remotely, from the company’s head office in Blanchefort, France. The model was a key factor in the company receiving the 2018 Prize and, after the conclusion of this pilot project, the aim will be to have further demonstrated the effectiveness and longevity of this solar-powered lighting solution to more countries and regions that endure extreme heat, it stated. 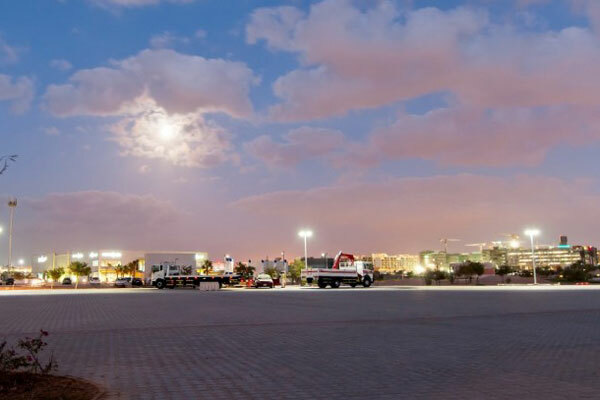 Commenting on the project, Chairman and Founder Thomas Samuel, said: "Sunna Design is extremely proud to partner with Masdar City for this pilot project, showcasing our best-in-class solar street lights in the GCC’s leading, purpose-built, low carbon community." "The iSSL Maxi 4 is our best-selling road lighting product and with our latest battery and electronics patented technology is designed to operate for 10 years without technical maintenance," he stated. "The 12-month pilot project is part of Sunna Design’s commitment to ongoing research and development and a desire to always be improving our technologies and products for our customers," he noted. Sunna pointed out that it had implemented several projects with private sector and government stakeholders, across the GCC, and that momentum had only accelerated after winning the Prize, in 2018. In turn, Dr Lamya Fawwaz, the director of the Zayed Sustainability Prize, said: "As a previous winner of the Prize, we are delighted to be supporting Sunna Design and its partnership with Abu Dhabi’s flagship low-carbon community, Masdar City, as they conduct tests on one of its novel solar-powered streetlights." "The partnership reflects the commitment these organisations, and the Prize, share for expanding clean energy access," noted Dr Fawwaz. Yousef Baselaib, the executive director of Masdar City, said: "Around a third of Masdar City’s electricity needs are provided by solar power and, from a smart city perspective, we recognise that data collection enables a greater understanding of how best to integrate renewable energy solutions into infrastructure and community developments." Following the evolution of the Zayed Future Energy Prize into the Zayed Sustainability Prize, in 2018, the recent annual awards ceremony, in January, now includes categories in Health, Food, Energy, Water, and Global High Schools, stated Dr Fawwaz. This broadening recognition of sustainability solutions, alongside energy, demonstrates the Prize’s now closer alignment with the UN Sustainable Development Goals as well as supporting the UAE’s government’s National Agenda 2021.